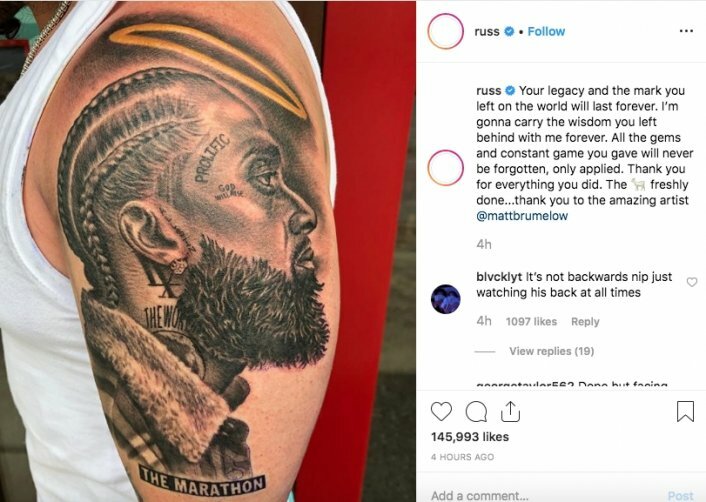 Russ is the latest celebrity to pay tribute to Nipsey Hussle after the rapper's tragic death. 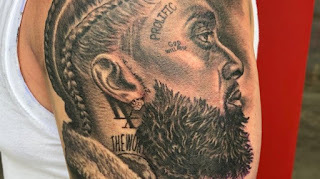 Russ debuted a tattoo on Instagram that he got of Nipsey on his bicep, which he captioned, "Your legacy and the mark you left on the world will last forever. I’m gonna carry the wisdom you left behind with me forever. All the gems and constant game you gave will never be forgotten, only applied. Thank you for everything you did. The [GOAT} freshly done...thank you to the amazing artist @mattbrumelow." 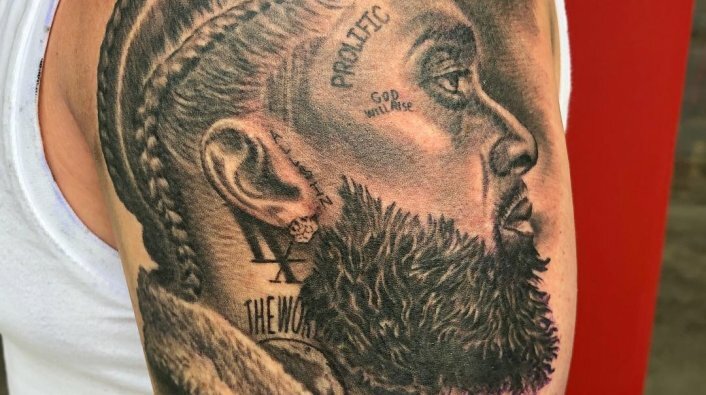 Earlier in the week, Russ dedicated another post to Nipsey, posting a snippet of Nipsey's "I Don't Give a Fucc" track, which he commented on by writing, "'No I don’t want your love, that’s not why I make music, I owe myself I told myself back then that I would do this' - I remember hearing this when I was 18. This whole project was a bible for me. Your life was a lighthouse. Thank you for all the wisdom you gave us all. The marathon continues. RIP the [GOAT]."